To Zero Turn or Not to Zero Turn? To say that Frank is afraid of snakes, is a huge understatement. I don’t like them either, and avoid them at all cost, but I don’t think about them or look for them when I’m outside just walking around. Frank, on the other hand, is constantly looking, thinking, talking about, and telling me what I need to be wearing, where I need to be walking and looking, to avoid snakes. So the first thing that Frank did after we bought Periwinkle Lane, was to ask one of his workers to bring his mower out and attempt to cut the knee high grass. 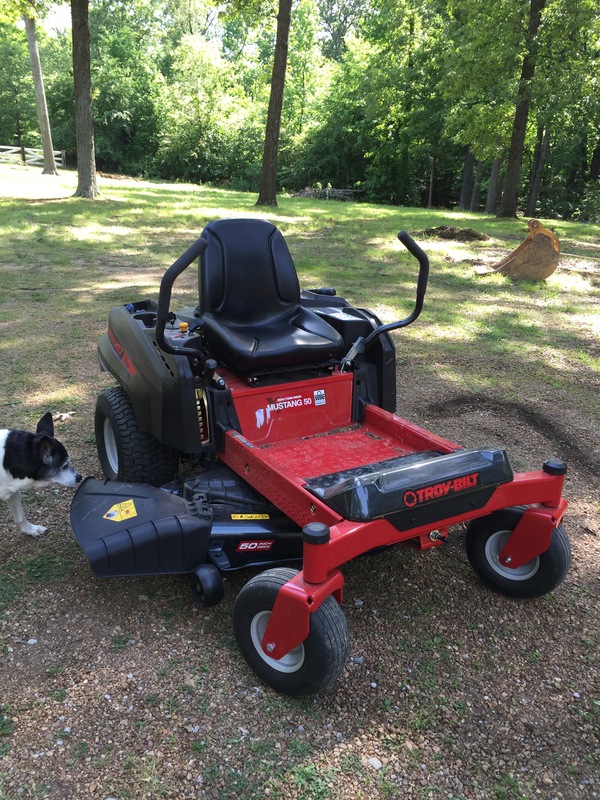 We haven’t owned a lawn mower in over 10 years, and have always paid to have our yard mowed. Frank and I both have really bad allergies, and mowing grass usually sends us into a terrible sinus infection and all that goes with it, and it takes us days to get over. Our delema here is, that our three lots total almost six acres, of which, we will need to mow about three. The yard at our last home on Rye St was the size of a Kleenex and we had it mowed for $35 every two weeks. Just thinking about how much it would be to pay someone to mow approximately three acres every couple of weeks, made us sick to our stomach. So, we have started our search for a new lawn mower. So wouldn’t you know it, while our friend, Bubba, was mowing in the front yard, he saw a snake and it started striking at the tire as he went by and was about to hit his leg, so Bubba decided to jump off and let the snake have the mower. Bubba then calls Jimmy, who is weed eating, over to ask what kind of snake it is, but before he can ask him, Jimmy almost stepped on the snake. Jimmy identified the snake as a copperhead and proceeded to weed eat the snake into pieces. A few days later, Jimmy had two heart attacks. We hope it wasn’t because of the snake. Everyone please say a prayer for Jimmy! Next, our friendly tree guy come out to trim the lower limbs off of the trees and raise the canopy up and improve our view. 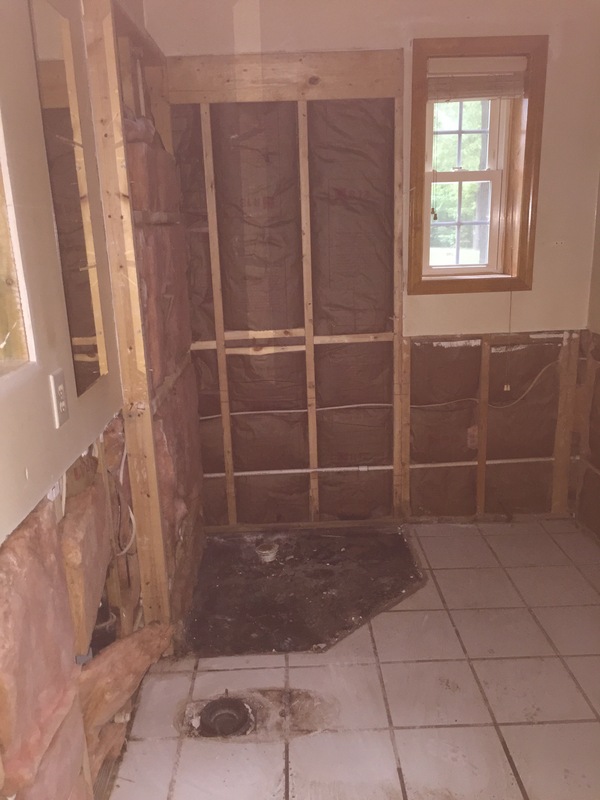 Once he was finished, he told us that he made our property value go up and if it had been done prior to us buying it, we would have had to pay a lot more. When we saw the view afterward and how much better it looked, we agreed. You have got to love demo day! It’s like you actually have permission to tear stuff up and get dirty and messy. We have a lot of stuff to tear up, so our demo day turned into a demo week. The main entrance of the house was located on the side of the house and another was through a set of double doors on the back of the house through the sunroom. 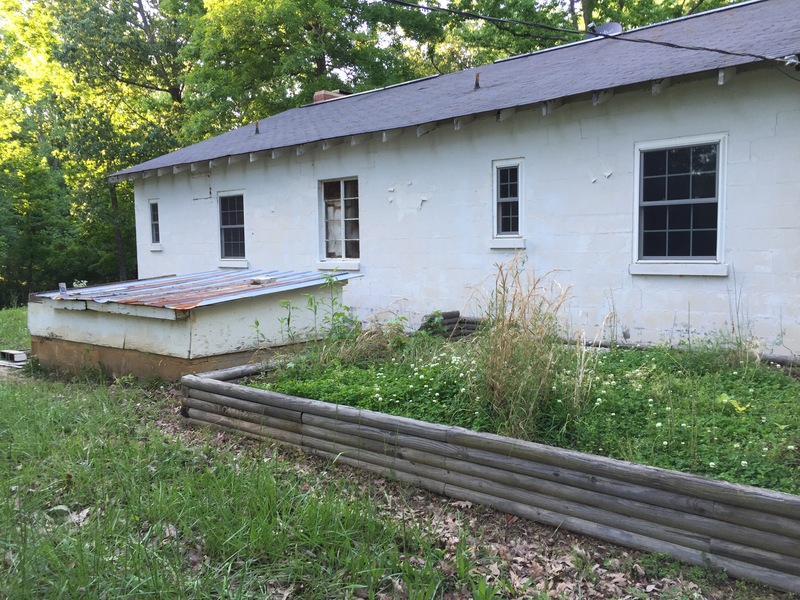 When you enter the front of the property, and see the house, the first thing noticed is that there is no front door. We want to have a front door, so after we reworked the floor plan, we had the perfect place picked out for it, and Frank got the honor of slinging the sledge hammer to make way for where it will be installed. I think he liked knocking that wall down and relieving some frustrations. 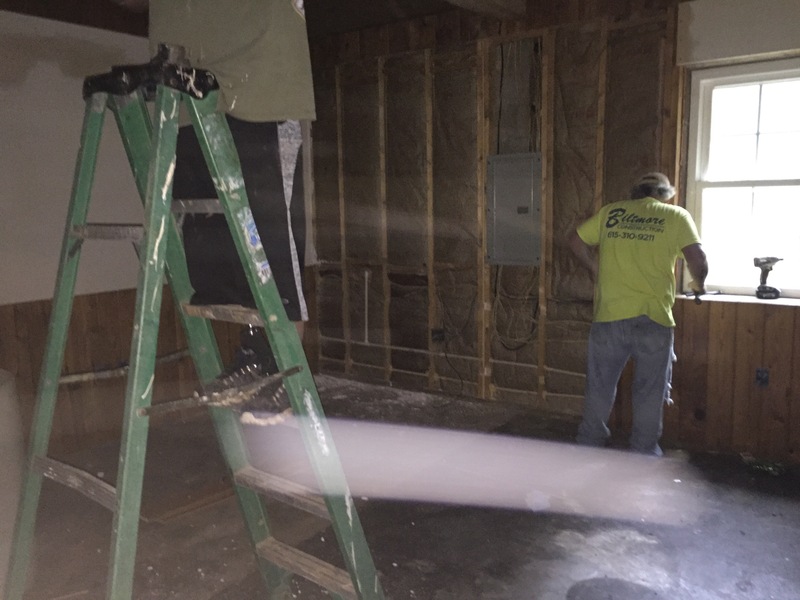 Some other changes we are making include, moving a few walls, changing some of the wiring and plumbing, running the electrical underground from the pole to the house and knocking down the well house and filling in the old well and digging a new one. Until next time Happy Mowing!! Author mitziemcdPosted on May 20, 2016 May 20, 2016 Leave a comment on To Zero Turn or Not to Zero Turn? Keeping my eye on the prize. My favorite bible verse is Proverbs 3:5-6. Trust in Jehovah with all they heart, And lean not upon thine own understanding: In all thy ways acknowledge him, And he will direct thy paths. Frank and I aren’t the most “religious” people you will meet, but our relationship with our heavenly father comes first and is very important to us. We hardly make a decision on anything, before going to him in prayer, to ask for his guidance. The hard part is patiently waiting for his answer. Frank is much more patient than I am, but I am getting better at it, the older I get. When we started making plans to purchase the river house and selling our Rye Street house, we knew there would be a span of time that we would need a transition spot to stay. We debated on buying a camper and living in it at Periwinkle Lane, but there was going to be a couple of weeks before we could get the electric hooked up and dig a well, so that wasn’t good. Our ultimate decision was to build a small apartment at Frank’s shop. 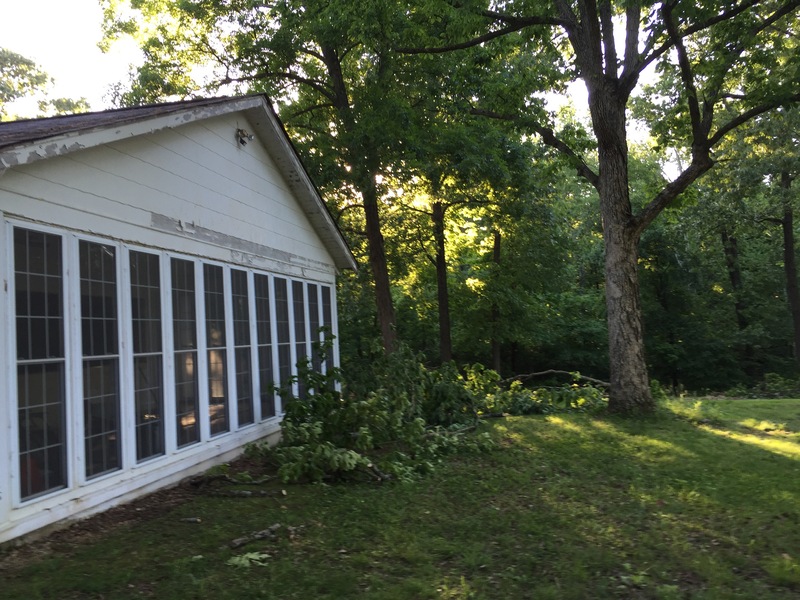 Since the structure was already there, we could do it relatively quick and after we were finished staying there, we could rent it out and have the extra income. So, not only were we packing up everything and storing it at Frank’s shop, we were trying to complete the apartment and work our jobs at the same time. One day, my daughter Kendel came for a visit and I wanted to take her to see Periwinkle Lane. On the way, we stopped to check on Frank at the shop and I showed her where we were going to be finishing the apartment. When we were getting in the car after seeing it, she said “Oooh mom!” I have to admit, it was in rough shape then, but it turned out okay. Frank and I have laughed about that a few times. Frank’s shop is an old building located on Hwy 70 between McEwen and Waverly, in a little area call Gorman. So, let me put this in perspective for everyone. Hwy 70 with all of the traffic, which sounds like Daytona 500, is in the front of the building, and 50 feet from the back of the building is the railroad tracks. Trace Creek road runs right beside us and there is a railroad crossing located there for traffic. Does anyone know how many trains run down this track each night? Better yet, does anyone know how many times a train blows it’s horn when approaching and passing through a crossing? The first couple of nights were painful. Needless to say, I had to buy a fan, ear plugs, and take benadryl to help me sleep. The other small problems we encountered during our first few days at the apartment were seeing a big snake right outside our back entrance, mice getting into our food, and a male cat on the roof screaming all night. I guess he was trying to make friends with my female cat. Then last week, there were terrible storms in our area and before we knew what was happening, there was water coming in everywhere and water was flowing through the apartment like a small creek. Thank goodness, we hadn’t left for work yet, and was able to get all hands on deck with the shop vac, blowers, and dehumidifier. It took most of the day but we got it cleaned up. That one stressed Frank out. All in all, it wasn’t easy at first, and I must admit, I had a couple of meltdowns. Frank was walking on eggshells and trying to stay out of my way. But, one day, he gave me some great advise, when he told me to “Keep your eye on the prize.” So I am doing just that. I am trusting God and visualizing what is to come. Some days are harder than others, but each day we get a little closer. Until next time, keep smiling! Author mitziemcdPosted on May 10, 2016 May 11, 2016 2 Comments on Keeping my eye on the prize. As a realtor, I have the pleasure of sitting at the closing table with my buyers and sellers as they sell or buy one of the biggest purchases/investments that they will make in their lifetime. Sometimes, they are excited, happy, or nervous, and maybe all three. It’s always fun and heartwarming to see my buyers when all of the signing is done and they get to hold the keys to their new home. It’s an awesome feeling and the reason I love my job so much. This past week, my husband and I were the buyers doing the signing, and when it was all done, we were very happy and excited!!! 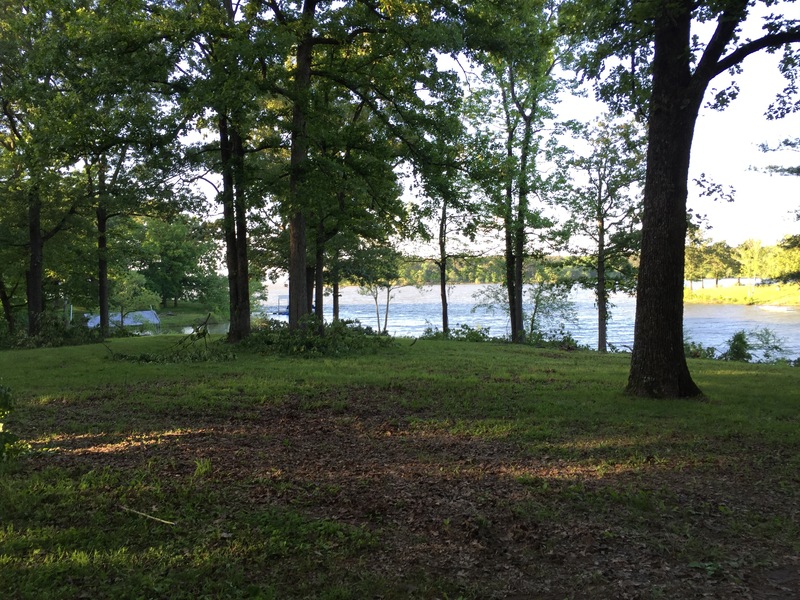 A few months ago, I showed one of my buyers a property located on the Tennessee River. I looked over the listing and mapped out the route. 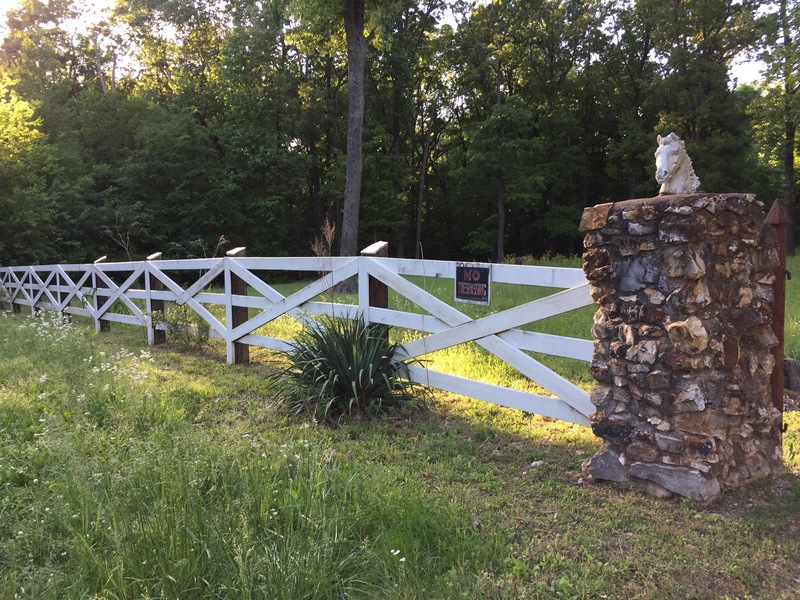 I had never been down Periwinkle Lane before, and as I pulled into the property, I was stunned when I saw the beauty of the land and view of the river. But, (and there is always a but, because there is never a perfect property) the house was another thing entirely. The 1960 model, painted white concrete block house that didn’t have a front door was a little scary to me. I had to wait until my vision adjusted when I entered into the dark room from the bright light outside. There wasn’t any electricity on, and I instantly smelled a smokey burned wood smell, from the use of the old fireplace. The house was pretty much hulled. Most of the rooms were concrete floors, with the exception of the huge main room that had the ugliest white tile I had ever seen. There weren’t any cabinets in the kitchen, just a drain where a sink should go. 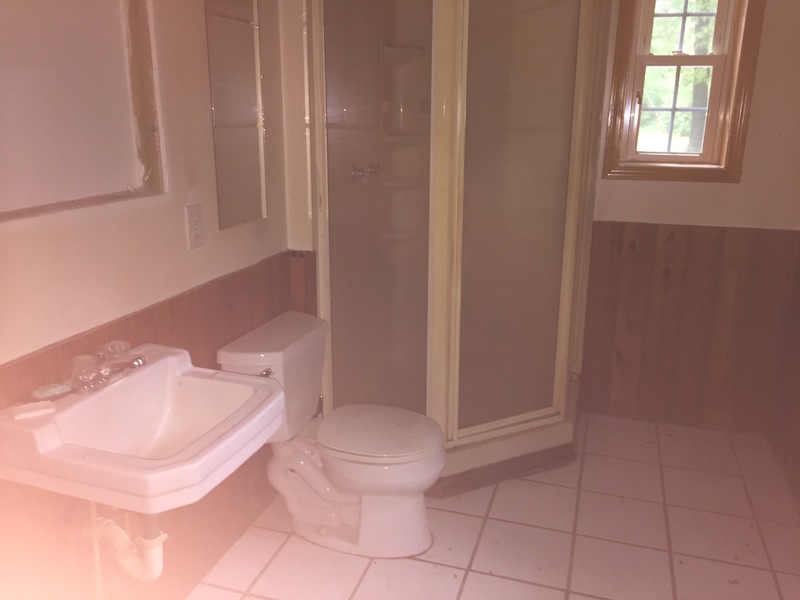 The one and only bathroom – well, let’s just say, I wouldn’t be using it. My customer, which had wonderful comments regarding the land and the view of the water, had no interest in tackling the work that this house was going to need. I suggested he doze it over and start with a new one. He declined that idea, so we moved on to see the next property. It was probably a couple of days before I posed the question to Frank, “If you could live anywhere, where would you want it to be?” We had the usual discussion about the beach, but as always, it ended with, our kids and our work are both here, and here, is where we will be. Then, I made my move. “I would like to live at Periwinkle Lane.”I said, then paused and waited for it. “Where the hell is Periwinkle Lane? And who would want to live on a road called Periwinkle?” was his next question. I could have won a lot of money if I had bet on that somewhere. So at my suggestion, we went for a ride, and the moment he first saw it, I knew he was hooked. 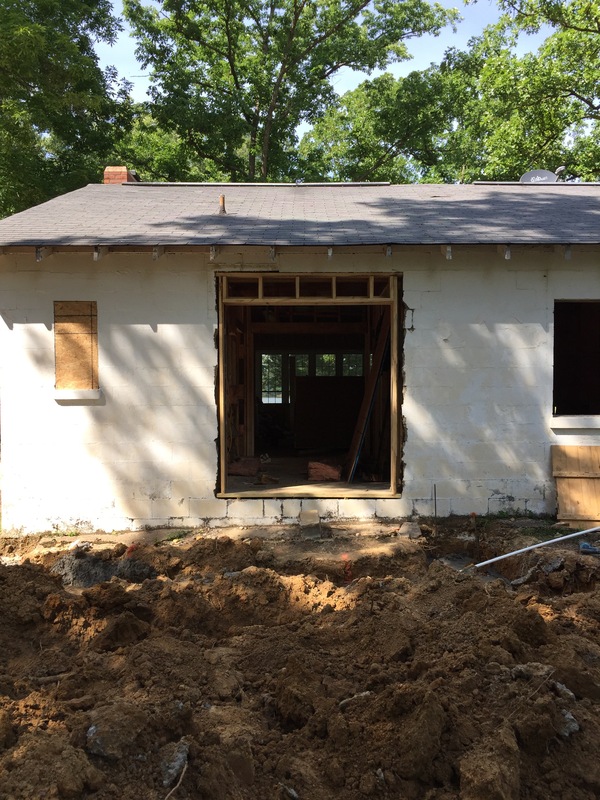 For those of you that do not know, my husband, Frank, is a General Contractor, and he and I have the ability to see potential in a property that some people cannot. Since we have been married, we have bought some real dumps and fixed them up and sold them. We have moved more times than I care to add up or think about, because I hate to pack and move, but for this property, I was willing to do it again. We had been living in a little house that we bought in McEwen about three years ago. We paid $22,500 for it and to say it was a dump, is a huge understatement. We actually had a few arguments over whether we should buy it or not. At the time, I thought it was just too much work and I was starting my real estate career and was dedicating every second to growing my business. Looking back on it now, it was all part of God’s plan for us. We made the purchase and began making it new again. We ended up moving in and I loved that little house, where everything was easy and simple and convenient. Maybe, that was why, when we started getting close to the time for selling it, we starting doubting our decision and wondering if this was really what we were supposed to be doing. After the closing and finishing our work, we went out to Periwinkle Lane and took our kayaks and fishing poles and a bottle of wine, that was a gift from Frank’s sister that we had been saving for a special occasion. We fished, and talked, and giggled like little kids and agreed it was better than Christmas. We sat and toasted our new place and thanked God for the blessings that he has given us. We sat in the dark and stared at the water until we knew it was time to leave, but still didn’t want to go. So here we go again. We are hoping this will be our forever place that we will live out the rest of our life here on earth. 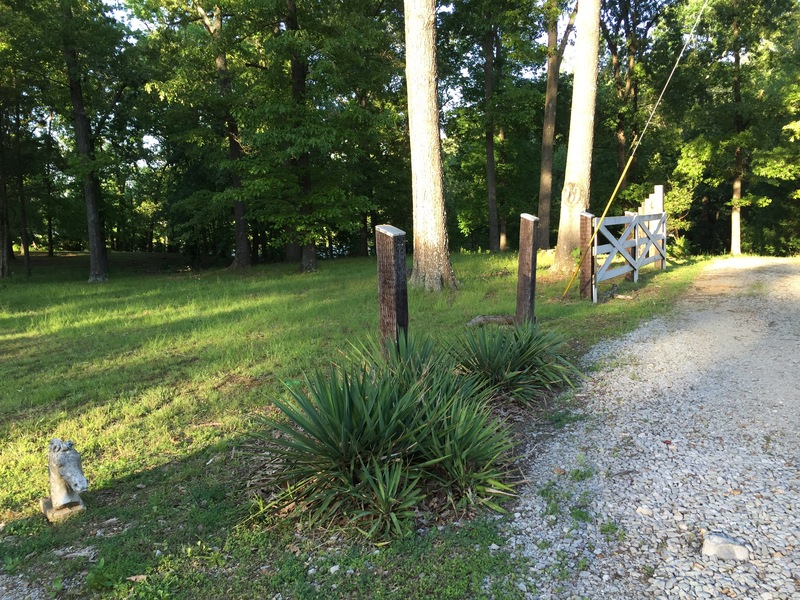 The place that we will call home and we will make memories with our family and friends. Have cook outs, birthdays, anniversaries, and teach the grand kids how to fish and ski, and tell big stories about all the fish we catch and the big one that got away. As we start the process of tackling this project, I wanted to document it, and invite my family and friends, and even people that we have never met to join in with us on this journey. We started the demo yesterday and it’s going to be a wild ride. I’ll be updating this blog as we progress along. Please join us on our adventure. Hopefully, you all will eventually find your way to Periwinkle Lane for a visit, to sit a spell, have a glass of lemonade, and drop your line in the water. Author mitziemcdPosted on May 3, 2016 4 Comments on The start of something good. Tammy Menghini on Giving thanks everyday. lightsoutluanne1 on Giving thanks everyday. The River House at Waverly Create a free website or blog at WordPress.com.